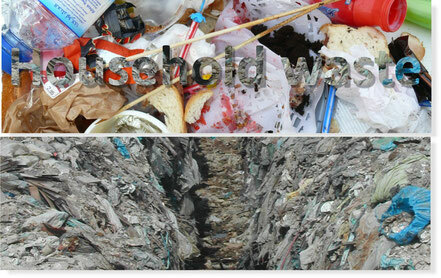 The composition of municipal waste varies greatly from country to country and changes significantly with time. In countries which have a developed recycling culture, the waste stream consists mainly of intractable wastes such as plastic film, and non-recyclable packaging. In developed countries without significant recycling it predominantly includes food wastes, yard wastes, containers and product packaging, and other miscellaneous wastes from residential, commercial, institutional, and industrial sources. Most definitions of municipal solid waste do not include industrial wastes, agricultural wastes, medical waste, radioactive waste or sewage sludge. The municipal solid waste industry has four components: recycling, composting, land filling and incineration. 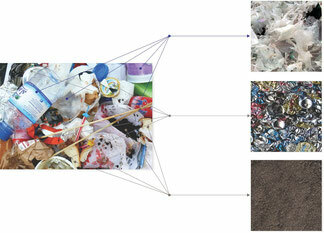 The primary steps are generation, collection, sorting and separation, transfer, and disposal. Activities in which materials are identified as no longer being of value and are either thrown out or gathered together for disposal. The types of means and facilities that are now used for the recovery of waste materials that have been separated at the source include curb side collection, drop off and buy back centres. The separation and processing of wastes that have been separated at the source and the separation of commingled wastes usually occur at a materials recovery facility, transfer stations, combustion facilities and disposal sites. is conveyed into the ECOREFINE. After entering the ECOREFINE, the material is heated up permanently, machine cut, moved, and mixed. In the second step the material will be separated in solid and liquid parts, therefore only one chamber system is needed. It is one of the big advantages of the ECOREFINE, that, in contrast to the conventional treatment methods, the soil is only heated up and not com-busted. Depending on the kind and composition of the pollutants, most of the hydrocarbons can be supplied to the industry and recycled. Due to the combined action of vacuum, thermal energy and mechanical circulation of the material to be purified, the pollutants get evaporated at low temperatures. Today, the disposal of wastes by land filling or land spreading is the usual method to make invisible all solid wastes, whether they are residential wastes collected and transported directly to a landfill site, residual materials from materials recovery facilities (MRFs), residue from the combustion of solid waste, compost, or other substances from various solid waste processing facilities. This kind of waste management bears a high risk, creating nuisances or hazards to public health or safety, such as the breeding of insects and the contamination of ground water. Municipal solid waste can be used to generate energy. Several technologies have been developed that make the processing of MSW for energy generation cleaner and more economical than ever before, including landfill gas capture, combustion, gasification, and plasma arc gasification. While older waste incineration plants emitted high levels of pollutants, recent regulatory changes and new technologies have significantly reduced this concern. The idea of the ECOREFINE is very easy, all household waste shall be recycled in the future within 24 hours.